Damage in Douglas Park as a result of Riot Fest. 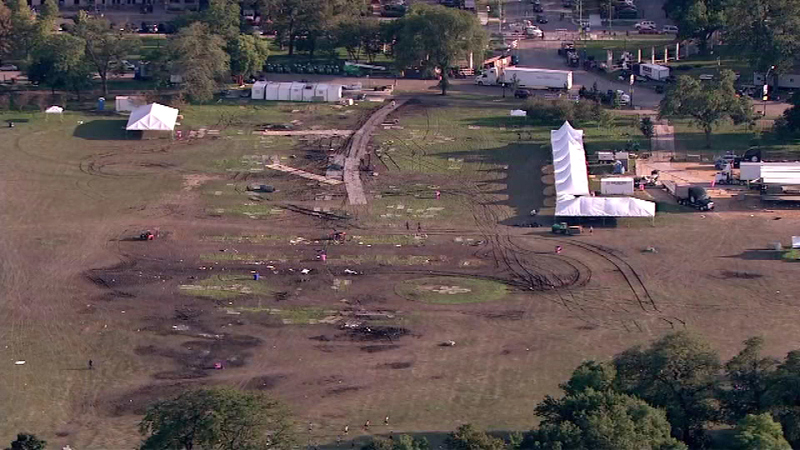 CHICAGO (WLS) -- Officials say the estimated cost to repair the damage at Douglas Park caused by Riot Fest is $100,000. Alderman George Cardenas told the Chicago Tribune that most of the damage seems repairable. Riot Fest organizers have to foot the bill.